Photograph depicts a small wood frame cabin with a lean to porch. Smoke is rising from the lean to chimney. There is a large snow pile in the foreground and snowy forest in the background. Possible location is Nass Harbour. 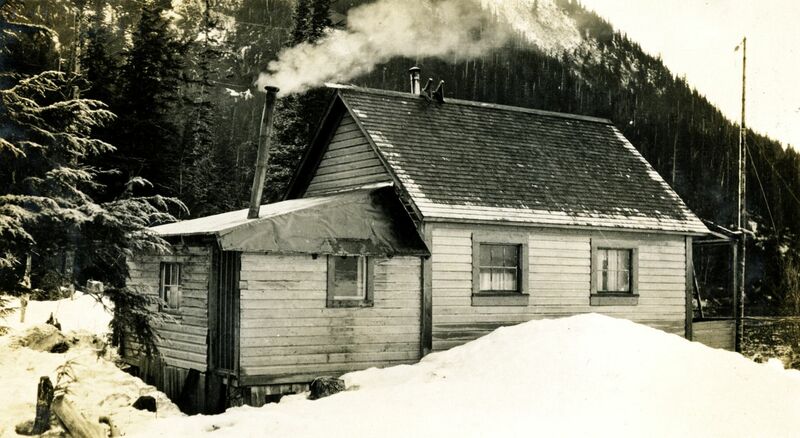 Handwritten annotation below the photograph reads, "Cabin Home - H. H. Welda's 3/28"